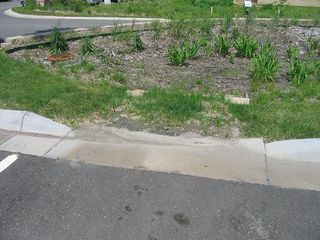 This image shows a vegetated pretreatment area prior to a bioretention BMP (rain garden). Note the buildup of sediment, which may eventually restrict water movement into the BMP and limit vegetative growth. This page was last modified on 25 July 2016, at 09:38.